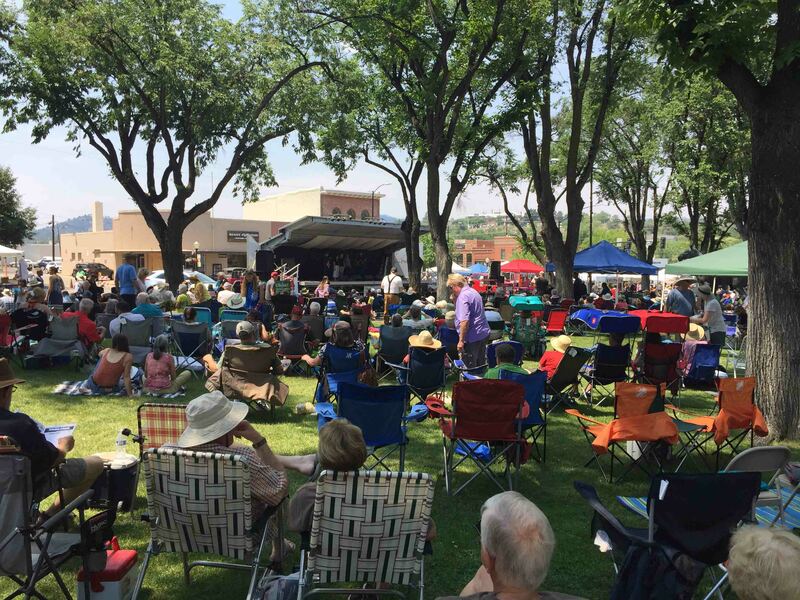 Bluegrass music comes alive at the 38th Annual Prescott Bluegrass Festival Sat June 22 & Sun Jun 23, 2019. Prescott’s historic courthouse square is the location for this popular event. It’s the only bluegrass festival of this magnitude in the western United States that does not charge admission. Setup your chair and blanket and plan to stay a while cause the music is good and so are the people. You probably want to bring a hat, sunscreen, and maybe even a small ice chest with a cool refreshment. There are food vendors at the event which is always a fun option. Enjoy one of many great restaurants within walking distance. Headliner: Sugar & The Mint– Saturday, June 22 Evening Concert at 7:00 p.m. While walking around Prescott’s beautiful Courthouse Square, you will probably see musicians jamming together unrehearsed and just for fun. Enjoy the comforts (e.g. air conditioning) of your own RV and FULL HOOKUPS while staying at the beautiful Point of Rocks RV Campground. Beautiful RV site with full hookups nestled among the giant Granite Dells boulders. 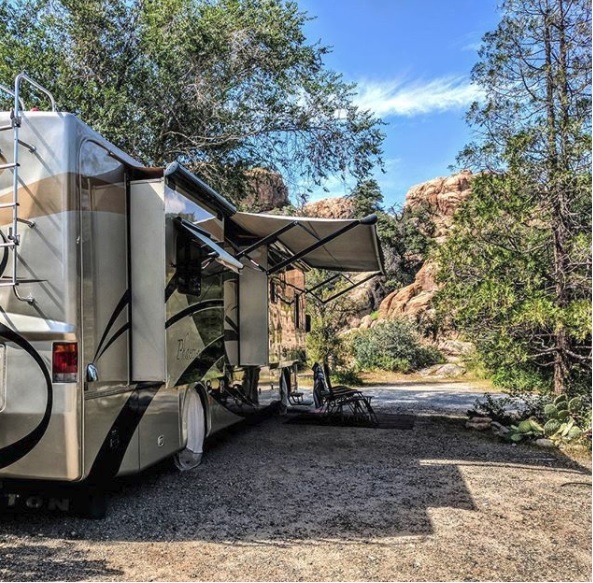 Point of Rocks RV Campground set in the majestic Granite Dells boulders and next door to Prescott’s beautiful Watson Lake Park. Point of Rocks RV Campground is just 5 miles from downtown Prescott…the location for the 38th Annual Prescott Bluegrass Festival. Make your reservation now to secure your site in our very popular campground.